In this section, I will share my knowledge about nature and my skills of interpretation and instruction. Supporting documents include nature journal entries, my fly fishing guide website, and sample curriculum plans and nature nuggets. Outside in nature has been my favorite place for as long as I can remember. According to my parents, I was happiest outside even as a baby. As I grew older, I began to learn more about nature and how interconnected everything is. Now, as a fly fishing guide, I’m just as likely to point out interesting birds or wildflowers to my clients as I am to show them the insects hatching from the stream we are fishing. This balanced approach to learning about as much of nature as possible has been beneficial to me in my career as a fly fishing guide because a good guided trip is not just about catching fish, it is about being out in nature and enjoying the total experience. 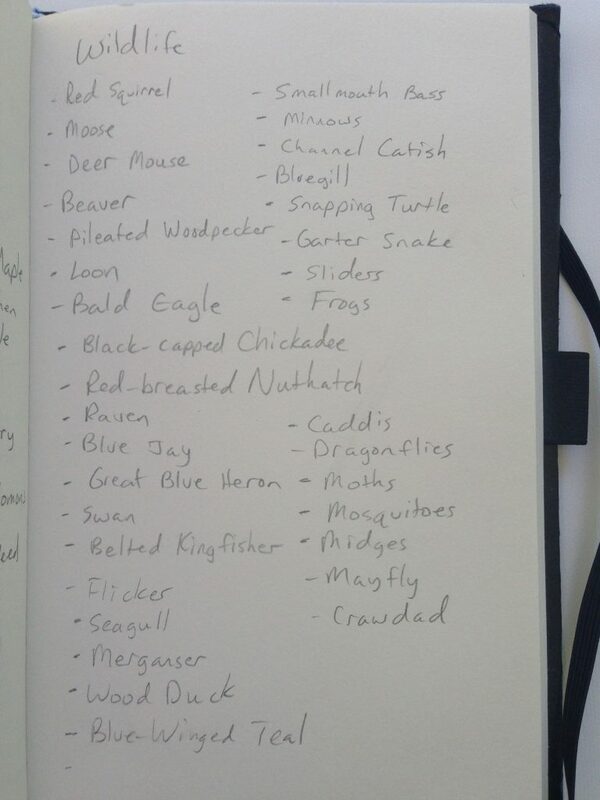 The following documents are artifacts in support of my nature study knowledge and skills. The first is a link to my fly fishing guide website where I share about the hatches an angler can expect on the streams of the Great Smoky Mountains National Park. I have made a careful study of the insect life to be found and am always prepared no matter the season. This section would not be complete without a link to my long-time fly fishing blog. This website/blog tracks my own development as an angler for over ten years now. Also, please check out my two most recent business newsletters. One of my favorite examples of the importance of knowing your insects on a trout stream happened a couple of years ago in the spring. A gentleman had scheduled a guided fly fishing trip in late April which is a prime time to experience good dry fly fishing. I took him to a favorite pool that normally features great hatches and rising trout. Sure enough, when we arrived there were fish rising throughout the pool as a light shower dropped some moisture. We quickly scrambled down the bank and got in the water. Watching the trout in the back of the pool, I determined that they were rising to an emergence of Sulfur mayflies that we saw hatching. I pulled out my dry fly box and found a Parachute Sulfur that I had tied. After catching several fish on this fly, my client moved further up in the pool. Suddenly, despite plenty of fish still rising, he quit catching trout. Realizing there was something more to this puzzle, I started watching carefully. Sure enough, there were some larger mayflies now mixed in with the Sulfurs we had been seeing. On this section of the pool, some larger #12 Pale Evening Duns were hatching whereas the smaller #16-#18 Sulfurs were hatching further downstream in the pool. After tying on a good match, we were back in business. Moving still further up in the pool, my client again quit catching trout. There was a particularly nice fish rising on the far side of the current, and I wanted him to have the opportunity to catch this fish. Again I started watching carefully. When I could not actually see any of the bugs this fish was rising to, I determined that it was eating either Blue-winged Olive mayflies or perhaps some tiny midges. Thus, I tied on a #20 Parachute Blue-winged Olive. Almost immediately, my client hooked what turned out to be the largest fish of the day, a 12 inch rainbow trout. By this time we were both soaked but also grinning from ear to ear. Careful nature study is essential to being a good fly fishing guide. For example, I know that as soon as the Phoebes show up streamside in the spring, the Blue Quill and Quill Gordon Mayflies should be hatching. When the Trillium are thick in the low elevation, it is time to start fishing for brook trout on the mid elevation streams. Another favorite nature study story comes from my time in the Nature Study class in my Masters Program. For this class, Dr. Swafford had me doing sit spots. While most were done within a short distance of my house, he agreed to let me do some stream observations in the Smokies as well since it would apply to my profession. One day I was sitting beside a well known pool called the Rootwad. Known for large brown trout, this pool was in fine form on this particular day. I was watching a large brown in the 24 inch range over near the far bank. This fish was resting on bedrock, and I was considering whether I should quit my sit spot to go fish for it. Instead I decided to be patient. Below are several more documents relating to nature study. 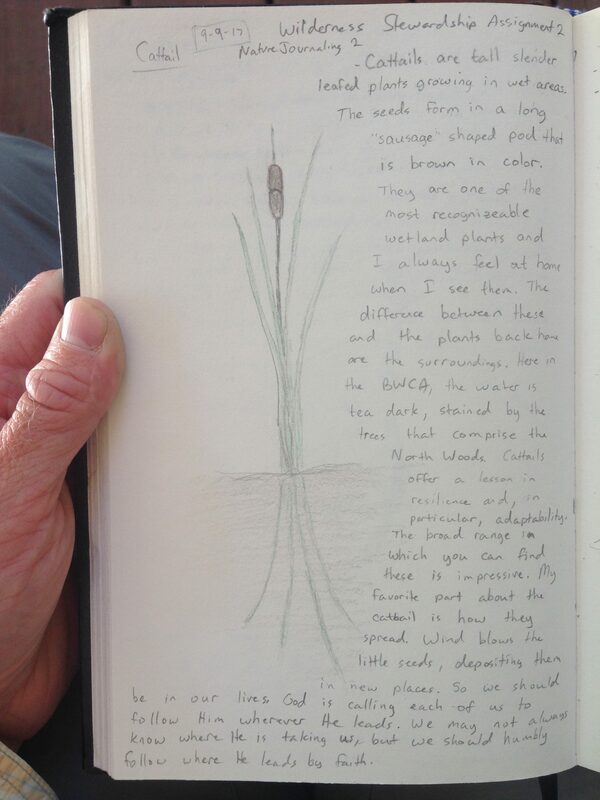 Included are some of my favorite journal entries, as well as field notes from my sit spots, field lists from my Boundary Waters trip, and other documents. 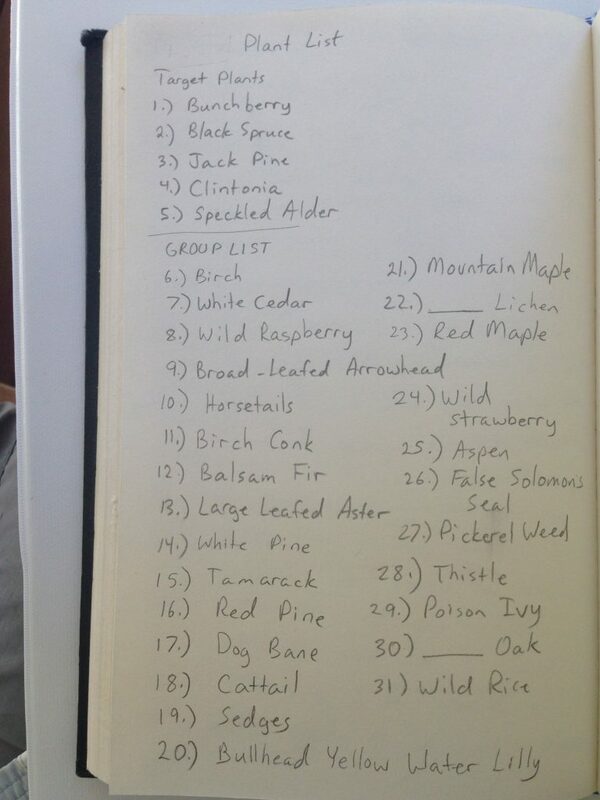 Here are my field notes for Nature Study when I did 90 hours of sit spots: Bird Language Field Notes Winter 2017. 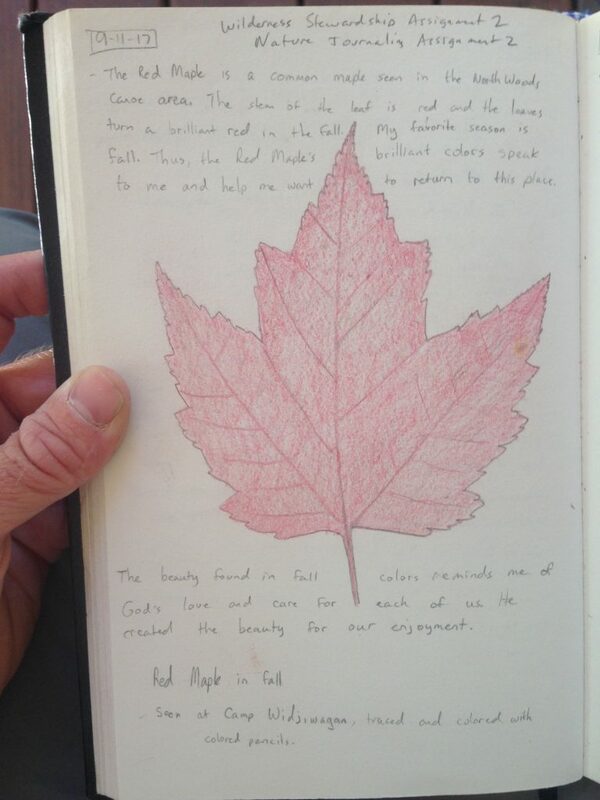 Next, here are two of my favorite journal entries from during my time in the Outdoor Education Program. 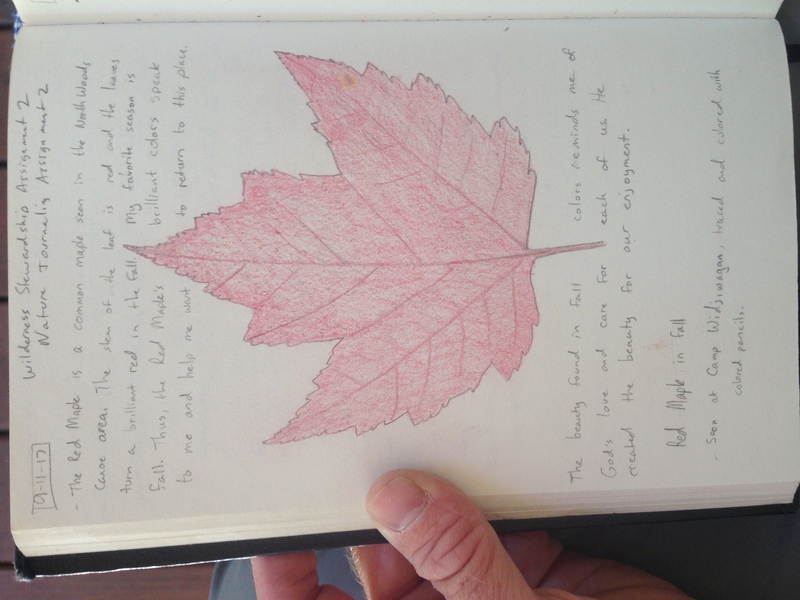 Over the course of my time in the Outdoor Education Program, I filled a journal with my experiences in nature and learning about outdoor education. This journal will be useful to me as I continue as an outdoor educator.